Have your children started school yet? Or do they start classes after Labor Day? There is so much going on during this back-to-school time! Most classrooms spend this time reviewing concepts that were taught at the end of last year just to jog their students' memories. 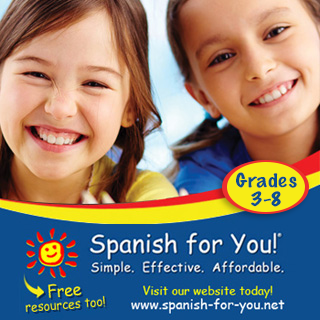 And since we are in the back-to-school spirit, let's give a shout out to MommyMaestra sponsor, Spanish for You! for this month's BTS Spanish freebie! 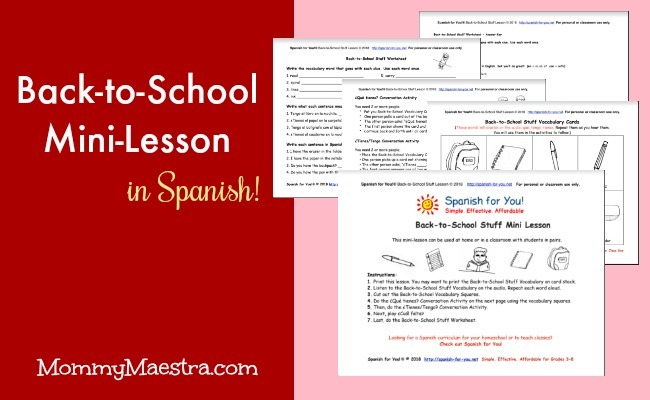 Today's download is a 5-page mini-lesson to help Spanish learners learn phrases associated with going back to school. 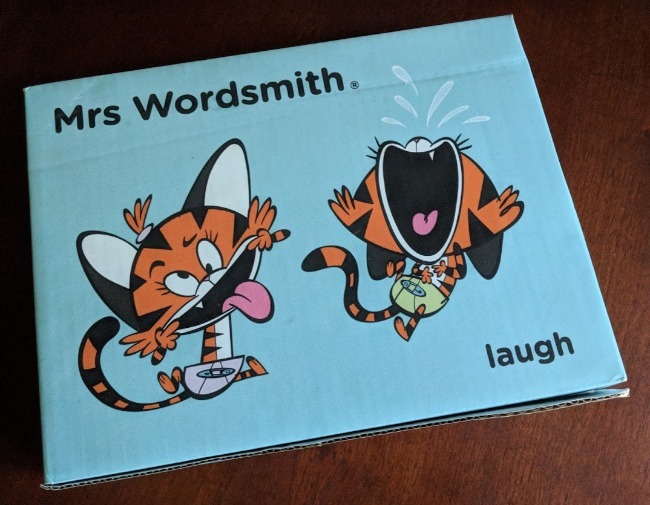 The file comes with an introductory page with instructions on how to use the pages in the book as a mini-lesson. There are also vocabulary cards, a conversation activity, and a worksheet to practice what you've learned. As always, there is also an audio file to help you learn the proper pronunciation. Did you know that in honor of my annual Back-to-School Fiesta ALL my digital files are on sale through the end of the month? 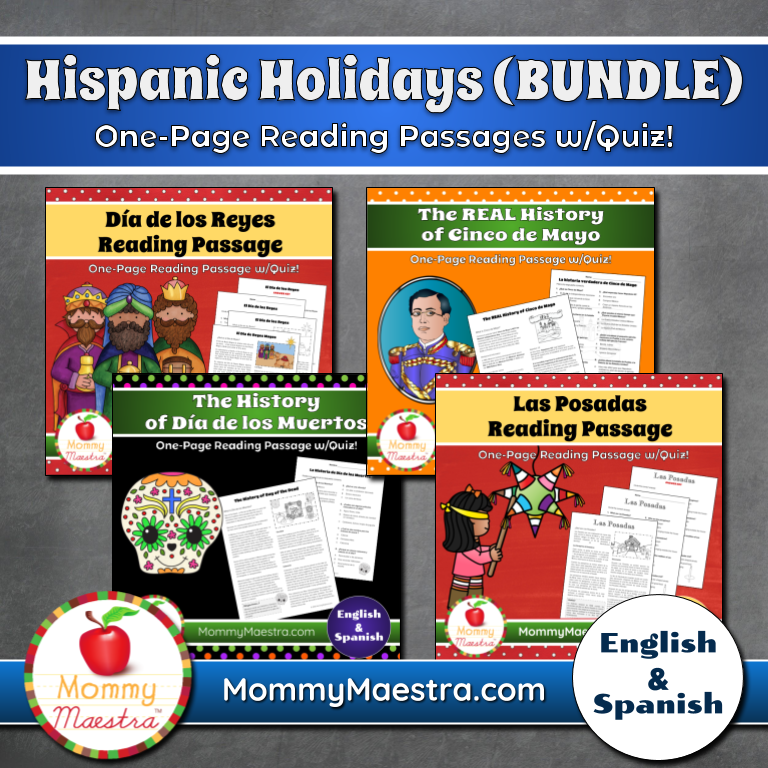 Now's a great time to stack up on printable downloads for Hispanic Heritage Month, Día de los Muertos, Las Posadas, Día de los Reyes, Cinco de Mayo, and so much more! Just click on My Shop in the menu above or click here to visit my online shop. Enter the code BTS2018 when you checkout to apply your 25% off discount on all my digital products. The Pizza Hut Book It! Program is a reading incentive program for K - 6th grade. It is a free program that is simple and flexible, but you do have to register in advance. It runs during the 2018-2019 school year, so beginning in October you set monthly goals for your student(s) and by meeting those goals, they can earn a free personal pan pizza each month through March. 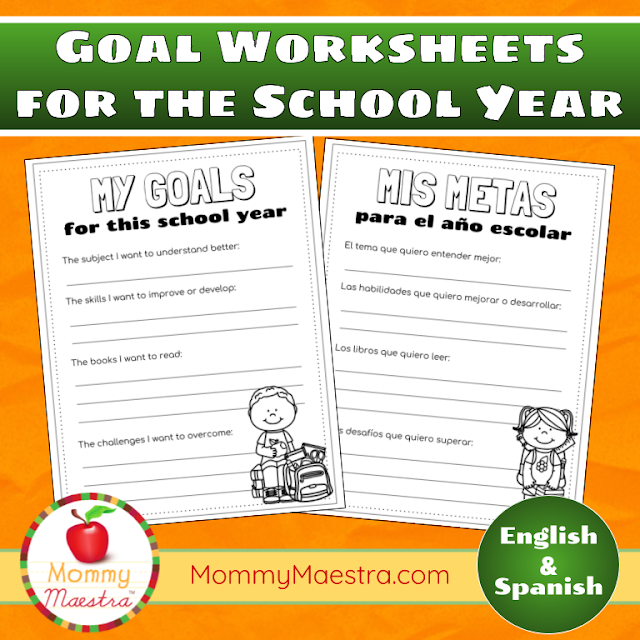 Those goals can be the number of books, chapters, pages, or minutes your child is expected to read each month...you get to decide. Homeschool families with children in K-6 grade, are eligible to participate. And, YES! 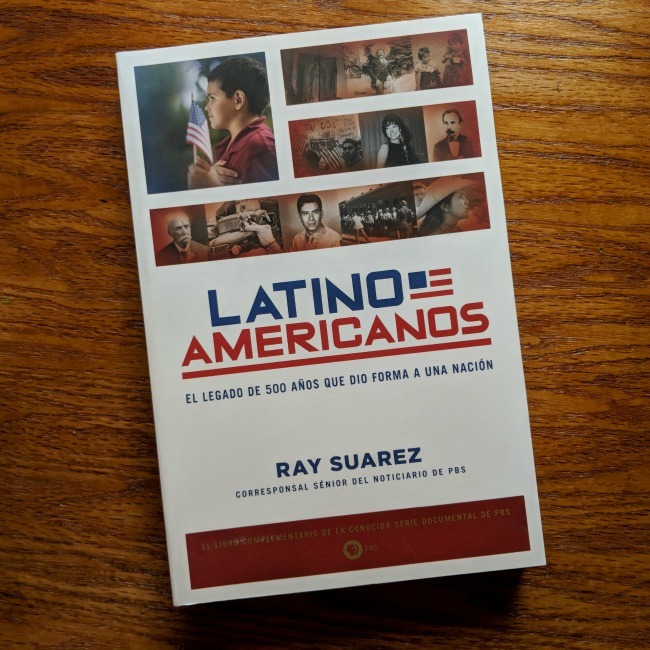 The program is also available in Spanish! 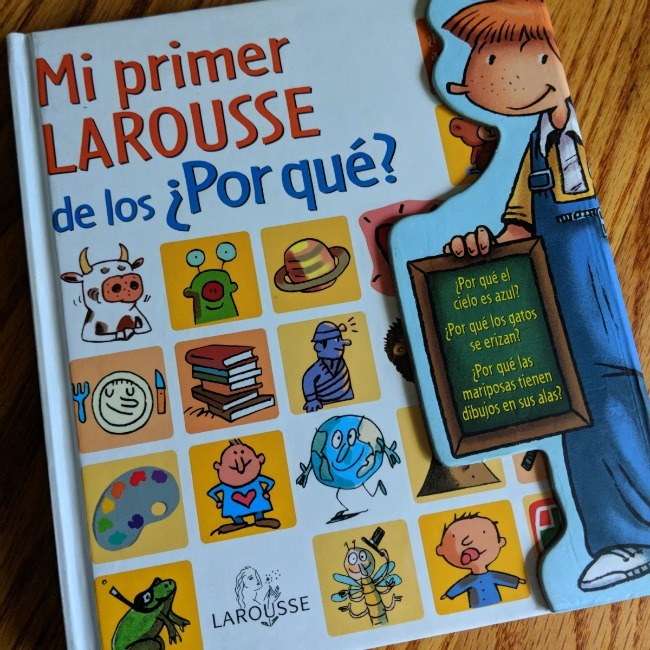 If you select "Printables" under the TEACHERS option in the drop-down menu at the top of their website, you can view all their Spanish printables. According to their website, Braum’s Book Buddy is a reading incentive program for children in the 1st, 2nd, 3rd, 4th and 5th grades. Each child can earn up to six Braum’s ice cream treats per school year just by reading, and it is free to participate in the program! But remember, there must be a Braum's store within 30 miles of you! I love introducing my kids to the world. We like to travel, though not as much as we actually want. And it is part of my mission to raise world citizens. This book by Joe Fullman is gorgeous and fun. 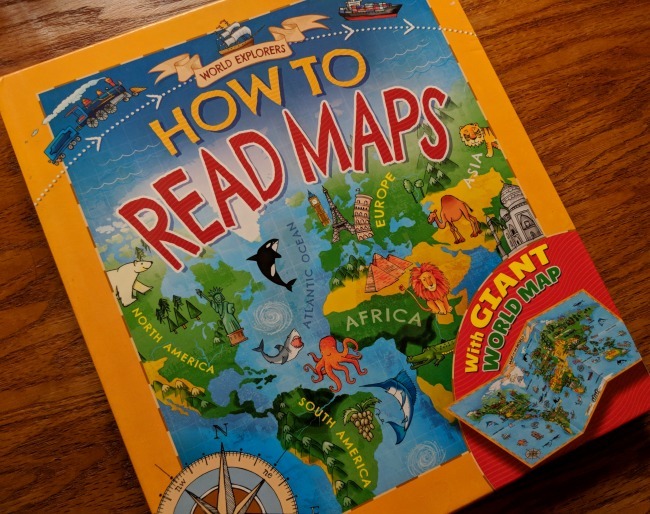 It's an easy read and contains colorful illustrations on the topics of what are maps, how to use them, how to make them, the roles of satellites and GPS, the elements of a map, modern mapping, and more. 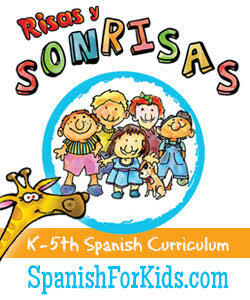 It's best suited for kids in elementary grades K - 3rd. 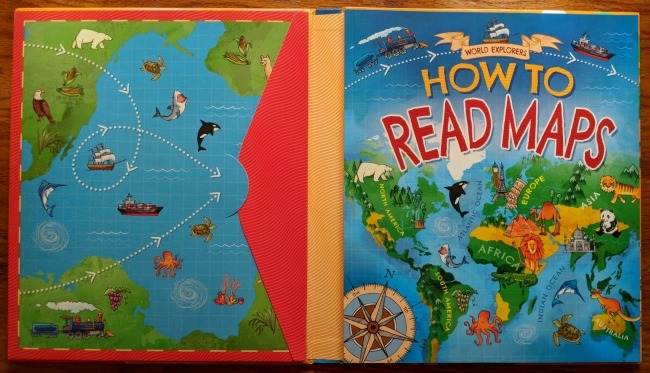 The best part might be the giant folded map inserted inside the front cover! Perfect for home classrooms or a child's bedroom wall decoration. School days are upon us!! 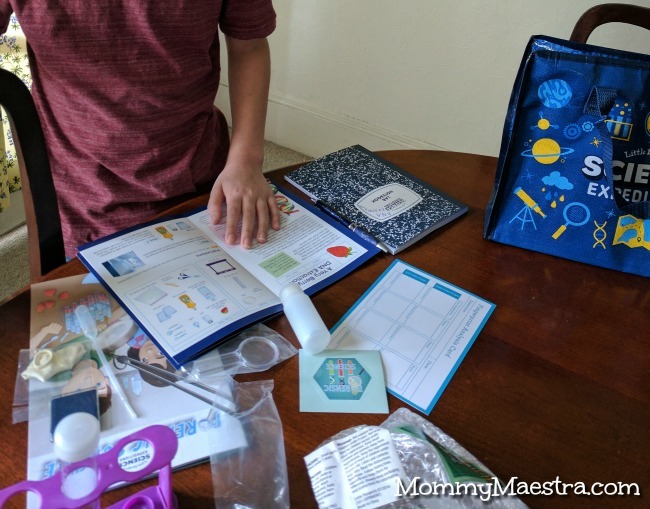 My daughter started high school last week and today, I started our homeschool year with my son. I'm excited about what the coming year will bring them. And to make matters even BETTER, TpT is having a Back-to-School BONUS SALE!! But it is ONE DAY ONLY! Tomorrow (Tuesday, August 21st until 11:59pm ET), they're giving all of us one more chance to stock up on all your last-minute back-to-school needs. 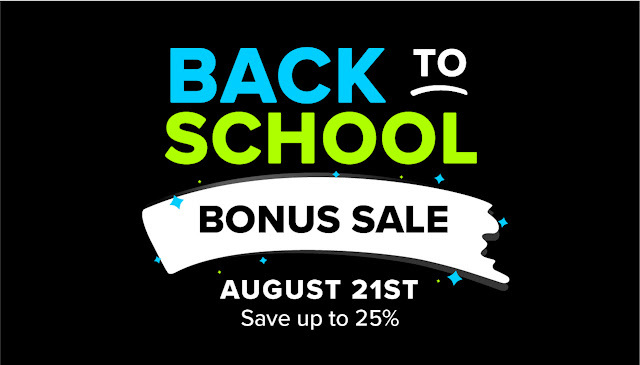 Just use promo code BTSBONUS18 to save up to 25% sitewide on A+ back-to-school resources. And to celebrate even more, I'm giving away a TpT Gift Card to one lucky MommyMaestra reader to use tomorrow during the sale. So this flash giveaway is happening on my Instagram page. 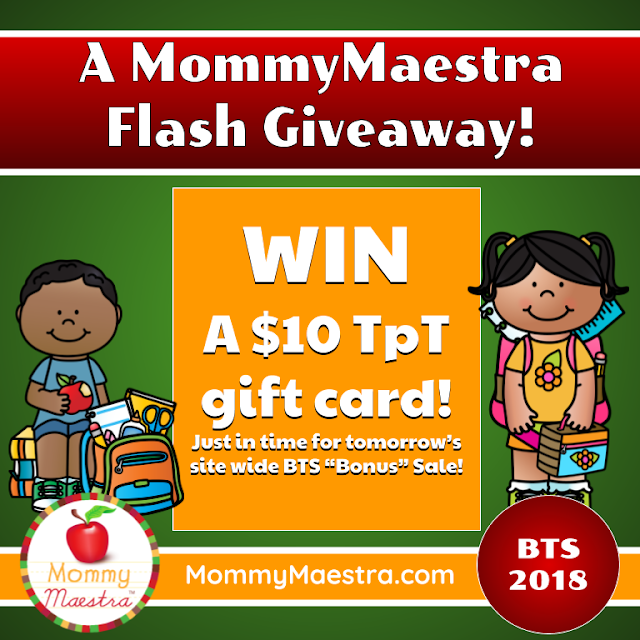 Just hop over there and enter to win it! 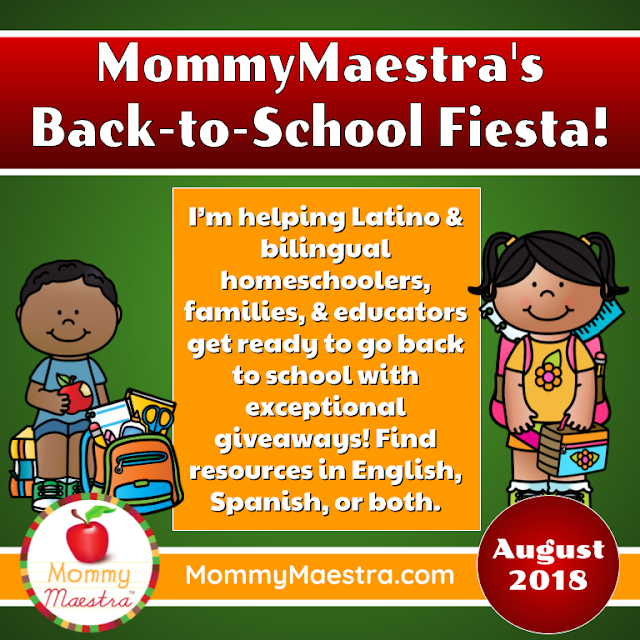 MommyMaestra's Back-to-School Fiesta continues with a great find and free download! 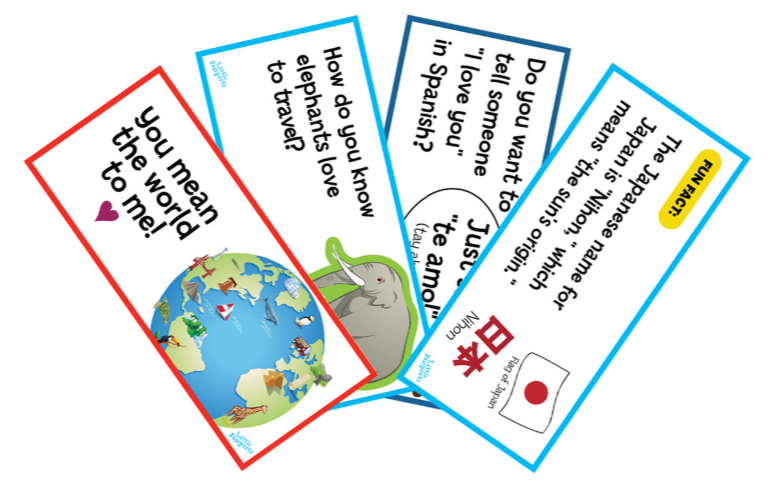 I love fun, educational printables that teach kids about other countries. It's part of raising global citizens. 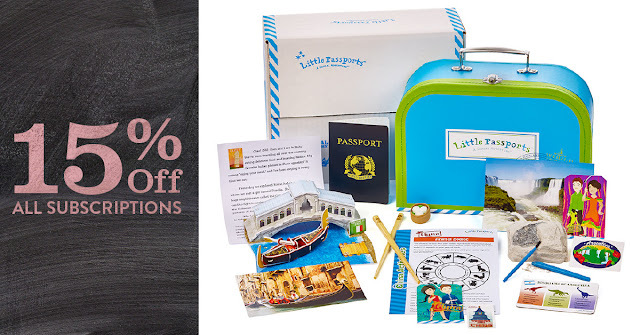 So when I spotted this free Mexico Exploration Kit from Pack-n-Go Girls, I knew I had to share it with you. Then download their FREE Mexico Exploration Kit! 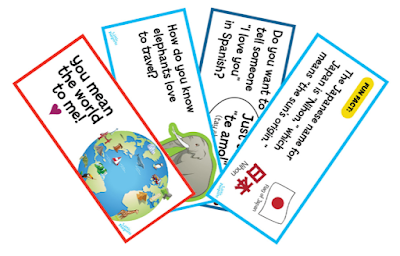 Simplify your teaching day with this resource loaded with 50 pages of engaging learning activities. Click here to get your FREE Mexico Exploration Kit. 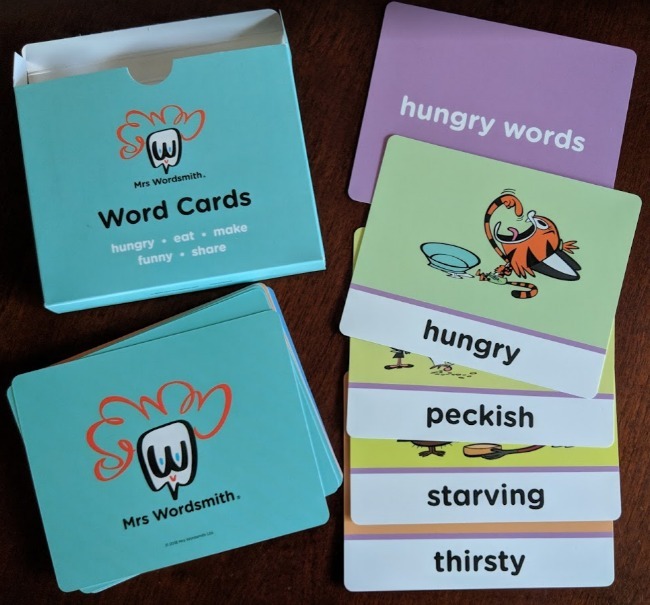 Encourage young writers with vocabulary, story elements, and story starters. Keep your students busy with a creative art activity that also teaches them science. 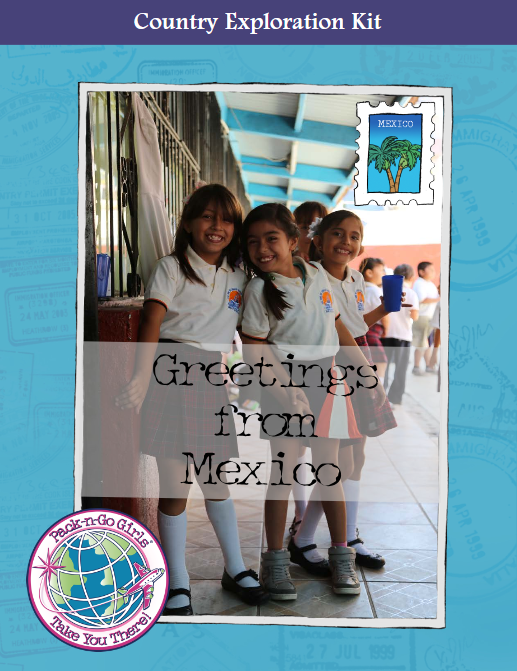 Discover the tastes of Mexico with kid- and classroom-friendly recipes. Dig deeper into Mexico’s history and culture with math, science, and social studies activities. 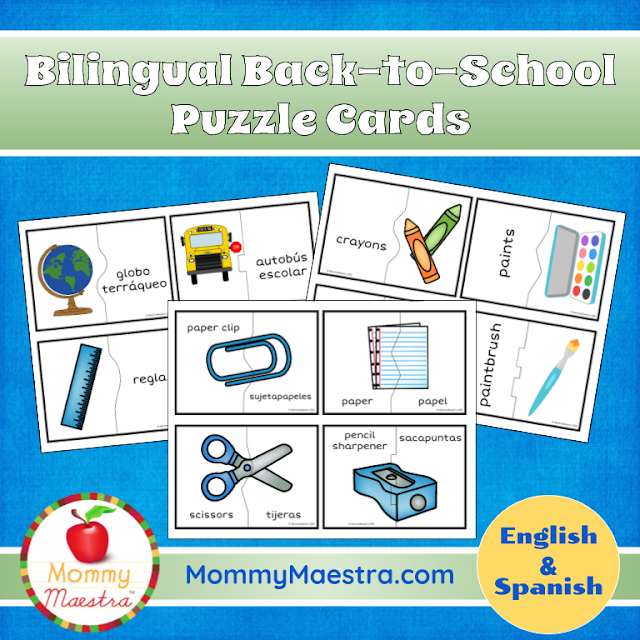 Take a fun break with a word search, puzzle, or game. Fill in learning space for quick learners with some coloring pages. Truly, this is a fun set of activities for kids ages 6 to 9. 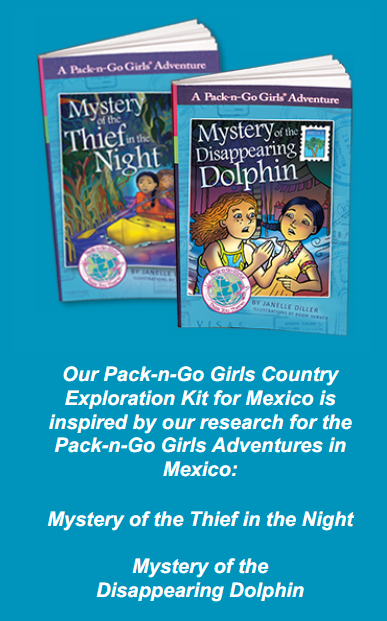 In fact, all of Pack-n-Go Girls Adventure books are entertaining reads that are jam-packed with information to introduce readers to cultures and communities around the world. And I love their diverse characters, too! Are you DACA eligible - or know someone who is? - and planning to enroll in college, but need financial aid? 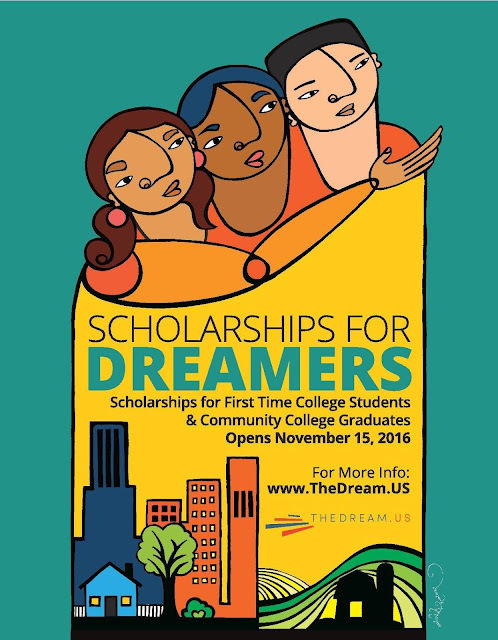 TheDream.us is now accepting applications for its 2017-2018 scholarship round! Visit www.TheDream.US to learn if you can qualify for up to $80,000 in tuition/fees support. 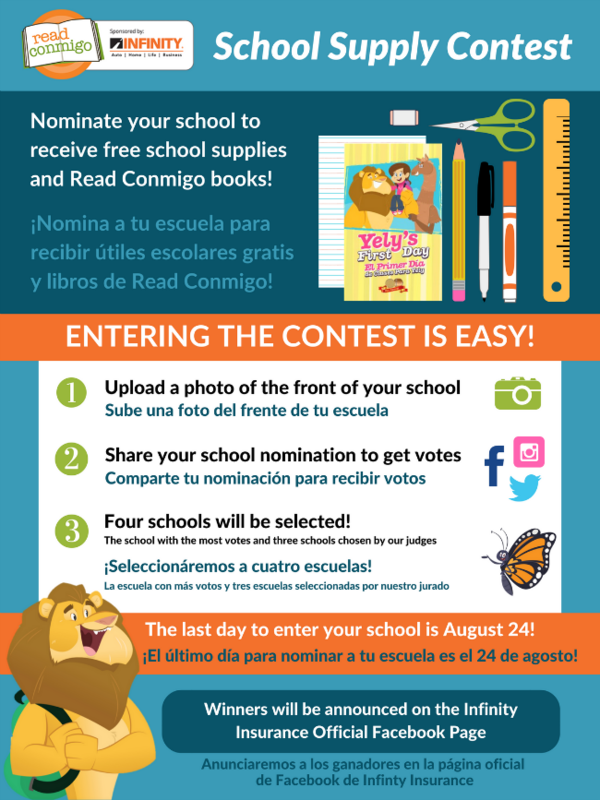 Did you know that your school could win free school supplies and bilingual books from Read Conmigo? FOUR schools will win! 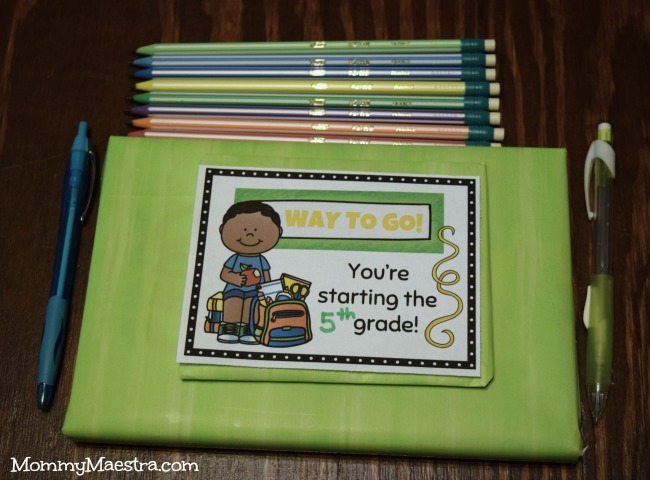 Teachers can ALWAYS use extra supplies and books. Especially bilingual ed classrooms. :) Don't wait! Go nominate your school today. 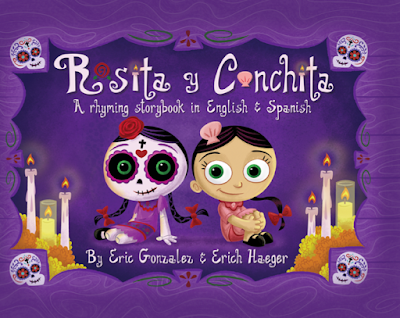 Visit ReadConmigo.com to enter or click here. This is a sponsored post and giveaway in collaboration with Teaching Textbooks. All thoughts and opinions are my own. I'm pretty excited about today's review and giveaway! Last year, I shared with you Teaching Textbooks, the math curriculum that we've been using for the last few years. 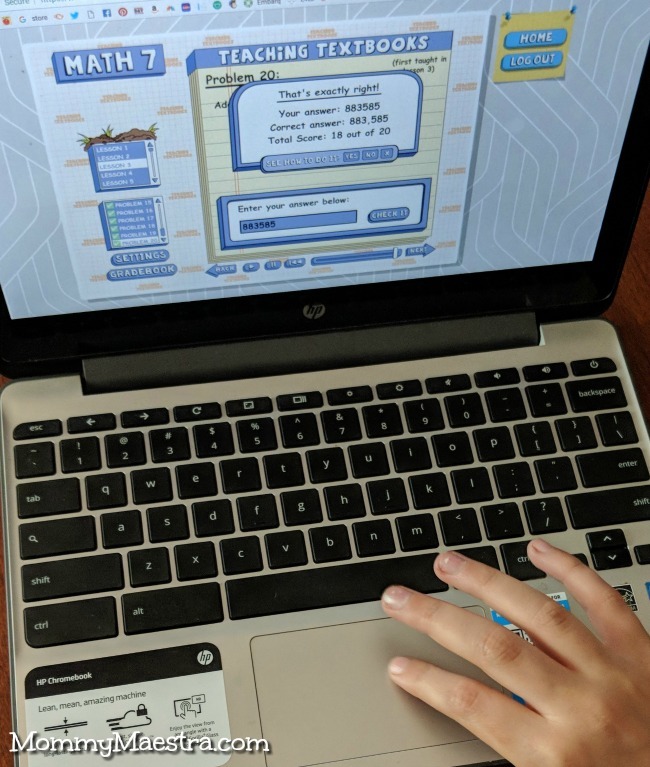 I explained how I loved the fact that we could buy the complete math course for the specific grade(s) I needed and simply upload it to our computer and run it without an internet connection. It was perfect because we lived in an area where my internet was expensive as could be and sometimes unreliable. 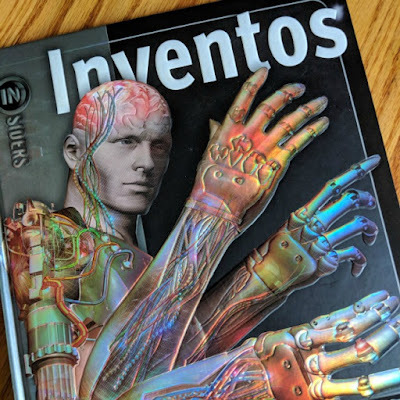 You can read about this and the many other reasons why we've chosen to use Teaching Textbooks here. Now fast forward one year. 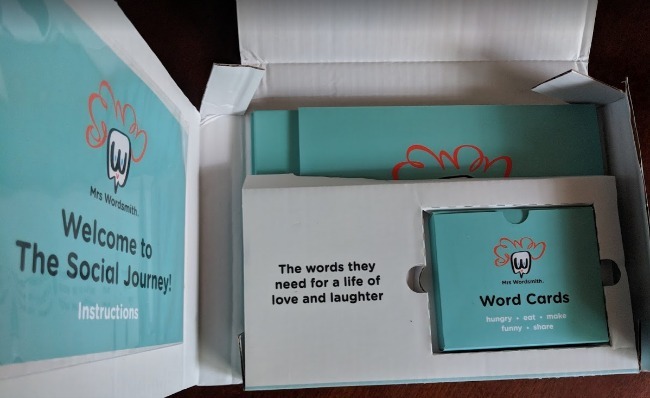 Life has changed dramatically for us, so I am absolutely delighted to share with you the new elements of the program that are now available to everyone! 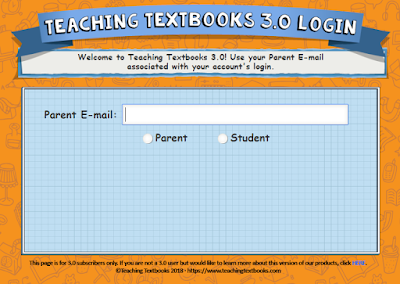 Teaching Textbooks has now made their fantastic math program available anytime and anywhere with their new 3.0 version. For homeschool families like mine who frequently travel, this new accessibility makes the program invaluable. And the best part? 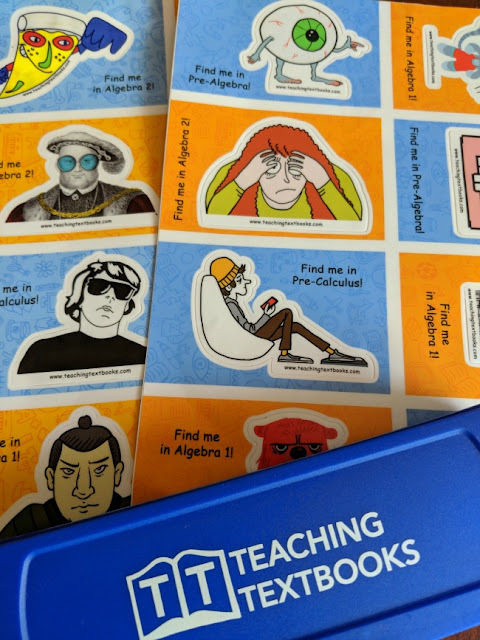 It's CHEAPER than if you buy the physical materials - but don't worry, Teaching Textbooks 2.0 will still be available for families who prefer to go that route. Scroll down to learn about the new pricing and the large family discount. I only wish that it had become available sooner. Remember, how I mentioned on my Facebook page that we had to move halfway across the country at the end of last year? The upheaval of moving made homeschooling so difficult, especially math, because our math program was tied to our school desktop computer. I had to switch halfway through the year to the physical textbooks (which were a lifesaver, I have to admit) and away from our computer lessons. 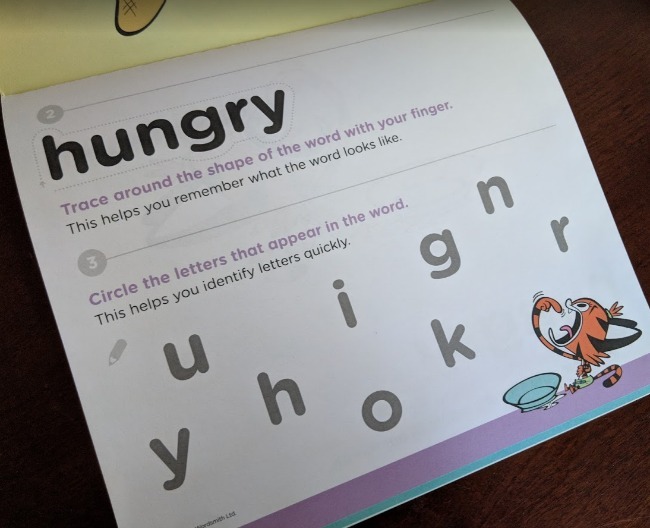 While this was fine for the kids, it added a lot of work to my already overloaded plate because instead of the program keeping track of what my kids got right or wrong as they completed their lessons, I now had to review EVERYTHING. And the computer was no longer keeping track of their grades. So you can only imagine the sheer joy I felt whenever I was contacted by Teaching Textbooks and told about their new 3.0 version which was debuting for this coming school year. I could have wept. Because you know what this means, right? My son learns new concepts from someone who knows what they are talking about in an engaging format, and who gives him immediate feedback when he answers questions/solves equations correctly or incorrectly. I don't have to keep track of grades but can easily open up my teacher's grade book to see how my kid is doing, how many tries it takes him to solve a problem, and what his grades are each day. The new 3.0 version means we can do math anywhere and anytime; at home, at the library, at grandpa's house, in the car. Anywhere. And it is no longer tied to one device. My son has started 7th grade and is using the Math 7 program. He can use the desktop, or our Chromebooks, or our tablet! 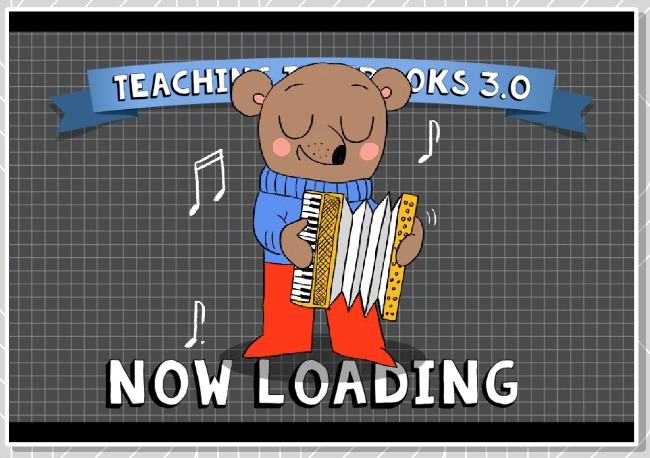 All he has to do is log in, and the program takes him immediately to where he left off and he can start his next lesson. Another advantage is that my tech-savvy son can now manipulate his dashboard. This is HUGE for him. 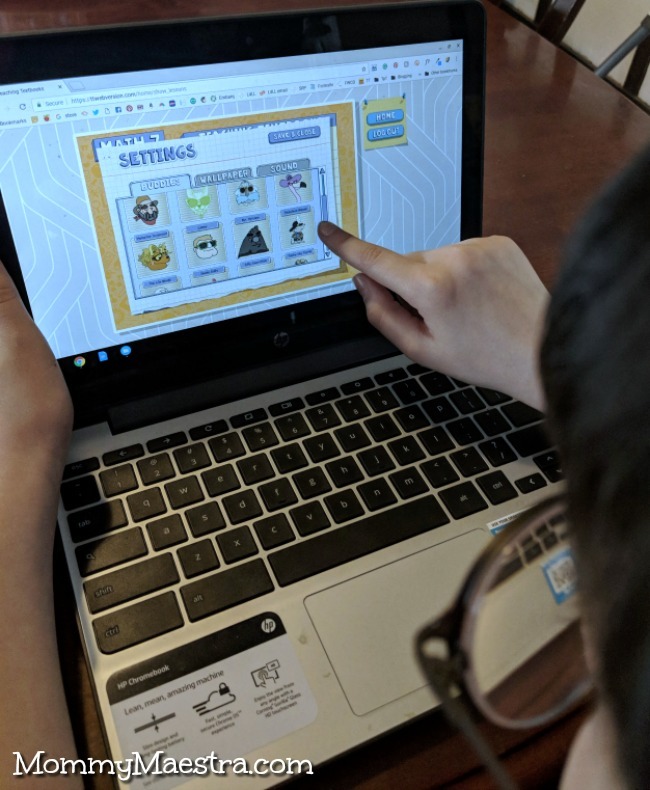 He loves the ability to personalize his lessons by simply clicking on the "Settings" button located at the bottom left corner of his lesson pages. He can change the wallpaper on the background whenever he wants and even add new "buddies" - or characters - to the simple animations that the program uses as incentives for completing the work. And he can turn on and off the sounds that go with the buddies or the hints. And there's another new element: Now, the buddies tell jokes. (In the previous disk version, the animated characters would do funny things when you got a problem right.) So while working on his lessons, my son now frequently stops and comes to find me (or his sister, or his dad) to tell me one of the jokes he just learned. Seriously, anything that will get my son excited to do math makes our homeschool days SO much more pleasant! So this extra touch really makes a world of difference for our family. I am so grateful for this program. Why? Because it lightens my load. I juggle a LOT, so when I can add a program that helps save me time or that does some of the work for me while still teaching quality content, then I am ALL IN. And, you know, one of the things I frequently hear from parents is that they are nervous about homeschooling because they did poorly in math when they were in school and they don't know how they are going to teach their children this subject. The fear of math is real, People. I'm not scared of it, but I do sometimes worry that I can't effectively teach certain concepts because I'm not clear on them myself. That's when I look for outside help, whether it be online, through another curriculum, or from a friend or professional. And that is the role that Teaching Textbooks plays for us, and could for you, too. The 3.0 version also gives parents more control. Don't want your kids to get hints or second chances at answering the problems? Turn those features off with the click of a button on your dashboard. It's easy and puts you in charge. 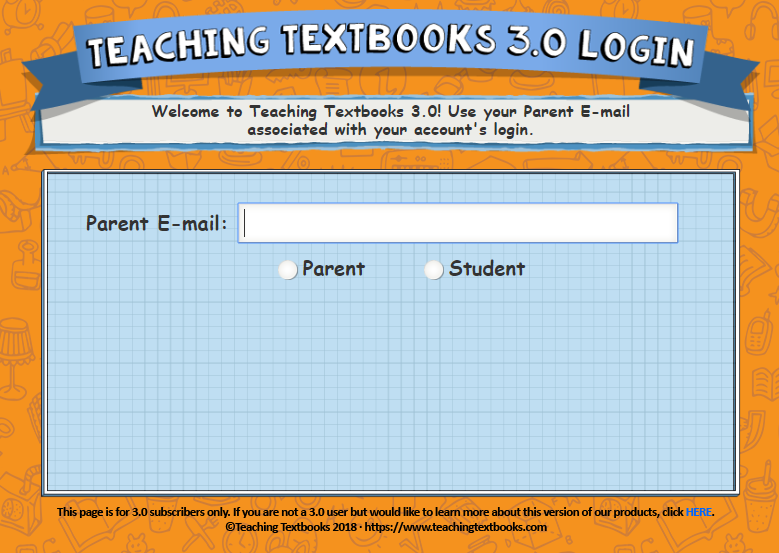 You don't have to take my word on all of this...try Teaching Textbooks 3.0 yourself for free! This is the most fabulous part of their new version. You can select the grade you want to try and have access to the complete course (lectures, lessons, eBook, and grade book) up through lesson 15. And there is NO TIME LIMIT. Your child can complete it in his or her own time. If you don't love it, no problem. But if you DO love it, then you can sign up for the complete grade level and your child's grades will automatically transfer so they don't have to do the work all over again. Just pick up where you left off and run with it! And before you ask, the answer is NO, you don't have to provide a credit card number like so many free trials seem to require nowadays. Really, this is the best offer I've seen in a long, long time! Not sure what grade level your child is ready for? No problem! Take the placement tests. Okay, here's what is super: the individual plans for 3.0 annual subscription are cheaper than if you buy the 2.0 physical media (CDs & textbook & answer key). The prices vary according to the grade level from $43 to $67. Compared to the 2.0, which runs between $120 to $185, this is an excellent deal. My son is taking the Math 7 level. It costs $55.08 for a 12-month subscription. That equals $4.59 per month! You see what I mean? This is so much more affordable and accessible for families who have good internet! 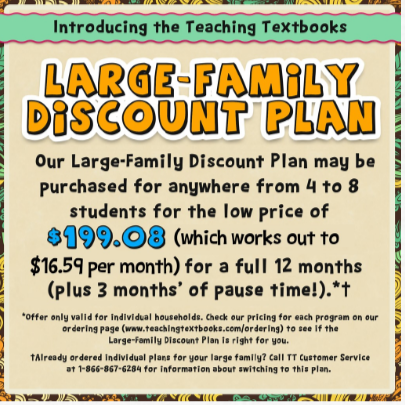 In addition, Teaching Textbooks understands homeschooling families and they want their program to be affordable for large families with 4 to 8 children. So they have chosen to cap the cost of the program for these families. As you can see from the image above, that price stops at 199.08. So if you have 8 kids, that works out to less than $25 per child for a year's subscription. WOW! 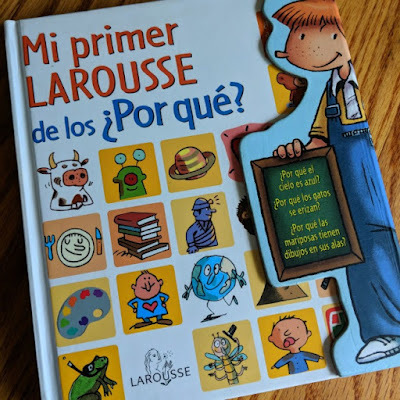 The lovely people over at Teaching Textbooks have offered a 12-month subscription to the grade level of your choice to one MommyMaestra reader! Don't miss this awesome opportunity if you are a homeschooler. To enter to win, simply click on the Rafflecopter below. Thank you all for bearing with me last month as I took time away to properly grieve the loss of my mamá. As I mentioned on Facebook, the last year has had me on a wild ride - some good, some awful - but two things remain constant: my love for my kids/family AND my love of writing! 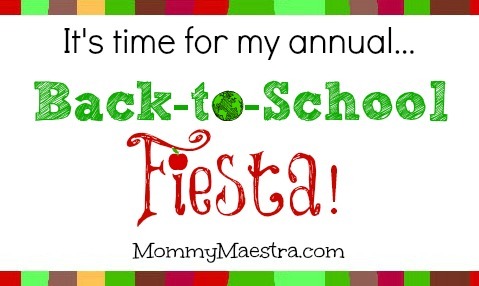 As promised, I wasn't about to miss out on my annual Back-to-School Fiesta! 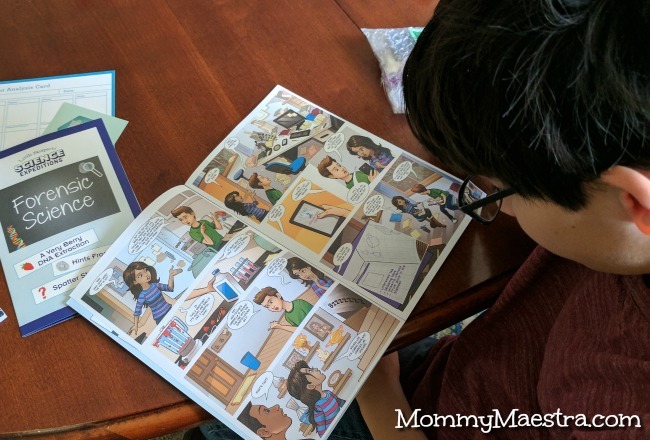 Each year during this month, I celebrate the Back-to-School season with articles, opportunities, freebies, and giveaways that I line up with you in mind. 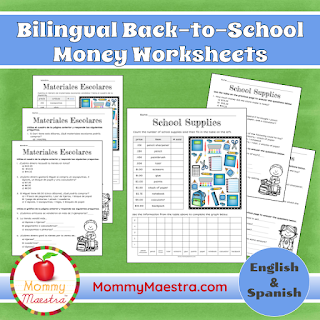 Once again I have awesome resources for you in English, Spanish, or both. I'm kicking things off with a gift from ME to you. FIRST, I want you to know that my ENTIRE TpT store is on sale today and tomorrow. You can get 25% off any of my printables. So stock up on back-to-school-themed printables, like the one shown above, or get a jump on the school year and buy your Día de los Muertos, Las Posadas, or even Cinco de Mayo reading passages today! 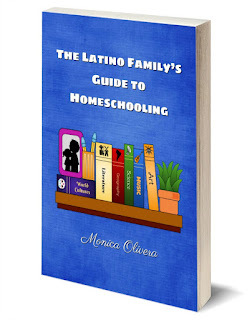 NEXT, with homeschooling on the rise among Latino families, I am giving away three copies of my book, The Latino Family's Guide to Homeschooling. I designed it to help you get started. Or, if you are a veteran homeschooler, it provides additional resources for those of you who are already on the journey. 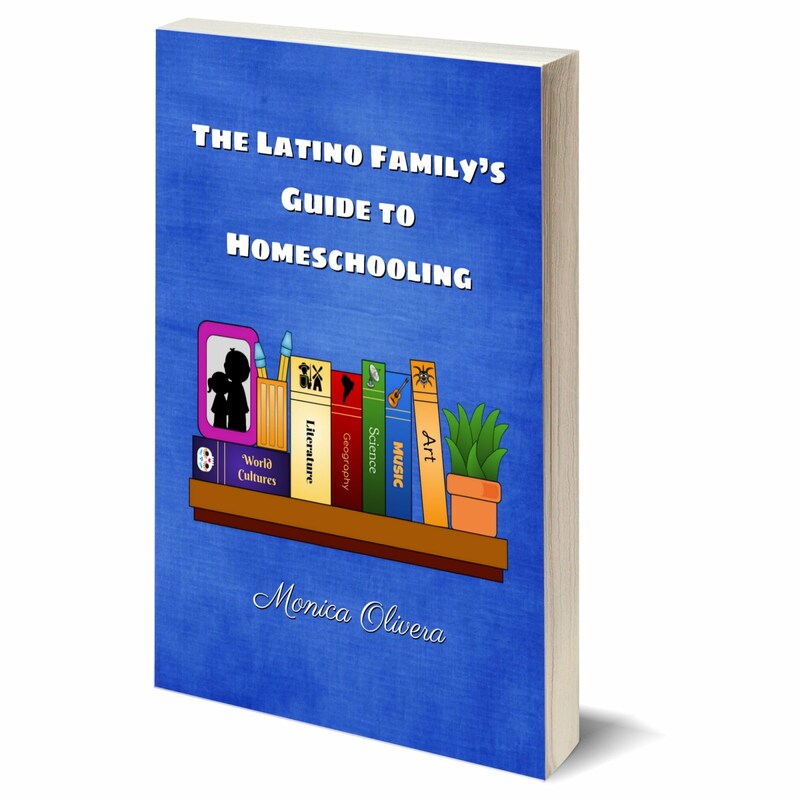 You’ll also read the stories of other successful homeschoolers, most from a variety of Hispanic or bilingual backgrounds. 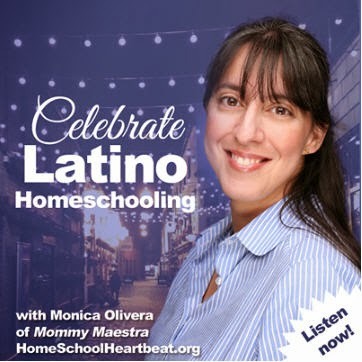 Learn about how and why they began homeschooling, and read their advice for teaching at home. 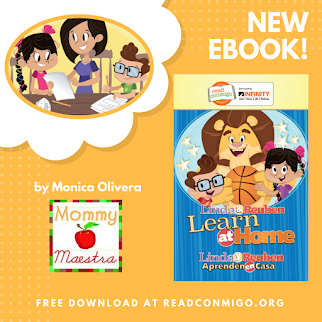 I am SO grateful to all the wonderful parents and professionals who have shared their tips, knowledge, and stories with MommyMaestra readers over the years. 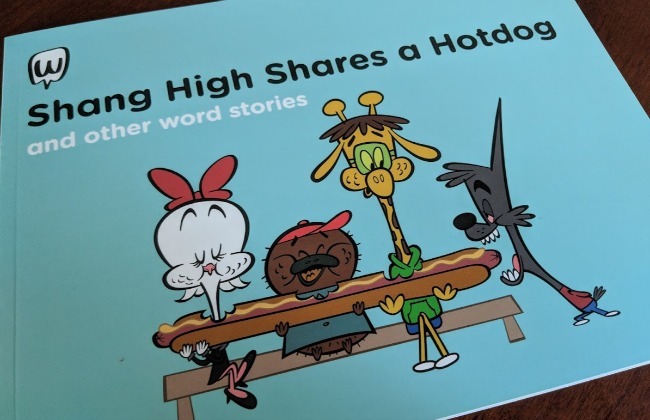 Every single one that I contacted about sharing their story in this book quickly agreed, and a few even wrote a piece specifically for this book to help me make it complete. 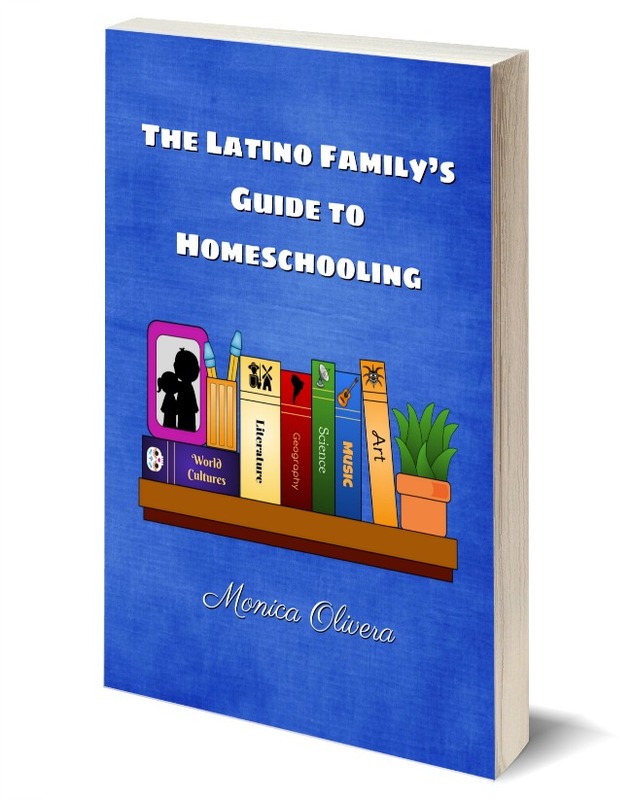 Filled with resources and tips for finding great curricula, as well as advice for daily learning, this book is a must-have for every Latino family considering homeschooling. 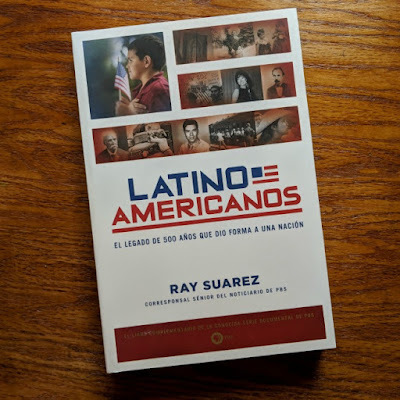 Of course, if you can't wait or want a guarantee to get a copy, you can purchase this book directly from my shop or on Amazon (aff). 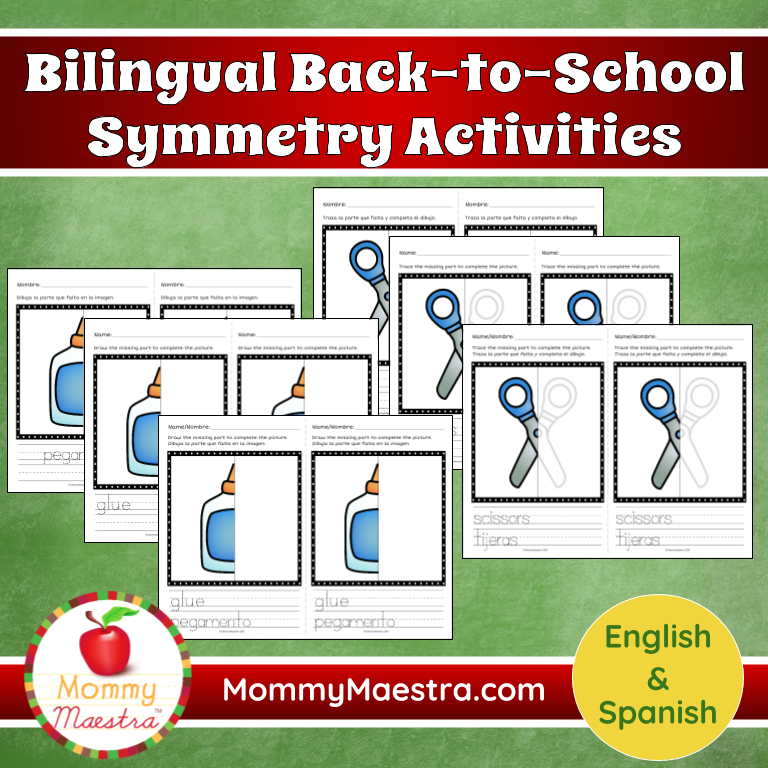 But I am celebrating by giving away a copy to three MommyMaestra readers as part of my Back-to-School Fiesta.